A new photo from a recently released Japanese toy magazine (likely Figure King) is making the rounds. The page gives us a look at the new Spider-Man S.H. Figuarts from the upcoming Spider-Man: Far From Home movie. 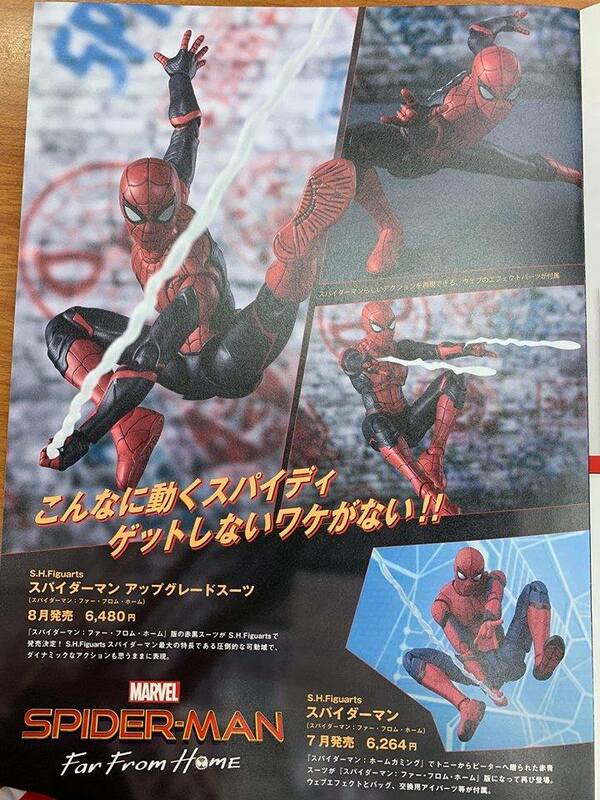 The figure features the new black and red suit, interchangeable hands, and web effects. The figure looks to be set for release is August, at a price of 6,480 Yen (about $58 USD). We’ll update with further details from Tamashii Nations once they become available. The image was shared by Toyzfrontline. Read on to check out the photo. The post Magazine Preview of the S.H. Figuarts Spider-Man: Far From Home Figure appeared first on The Toyark – News.